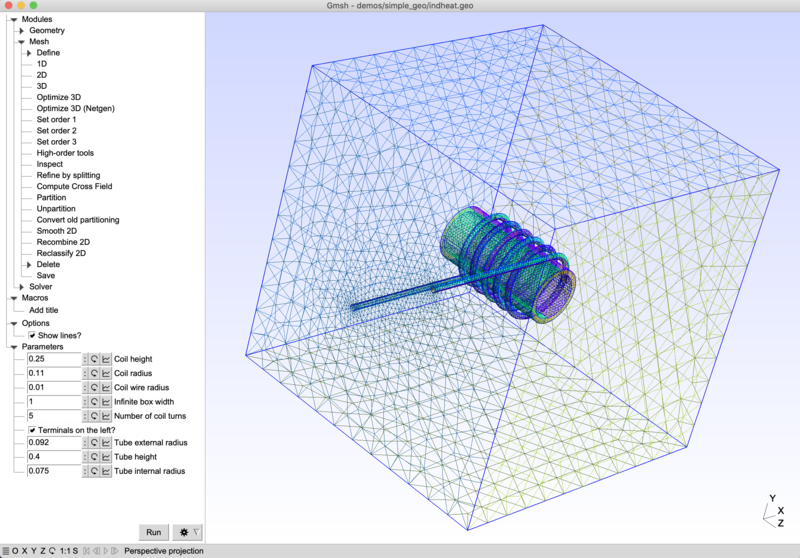 Gmsh is an automatic 3D finite element grid generator (primarily Delaunay) with a build-in CAD engine and post-processor. 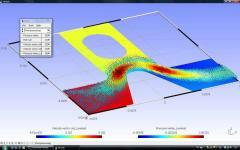 Its design goal is to provide a simple meshing tool for academic problems with parametric input and advanced visualization capabilities. Gmsh is a portable piece of software which features a built-in CAD engine and post-processing tool, enabling you to generate 3D mesh. It comes packed with a few handy tools for advanced users. 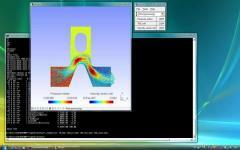 Gmsh is a CAD software that helps you to design 3D elements. The modules are split into three major categories: geometry, mesh and solver. Therefore, you can use elementary entities (e.g. add, translate, rotate, scale), physical groups (coherence, reload, edit file), define one, two and three dimensions, as well as run GetDP to solve elements. Gmsh is built around four modules: geometry, mesh, solver and post-processing. The specification of any input to these modules is done either interactively using the graphical user interface or in ASCII text files using Gmsh's own scripting language. The tool does not put a strain on computer performance, since it runs on low CPU and RAM. It has a good response time to commands and works smoothly, without causing Windows to hang, crash or pop up error messages. All Gmsh reviews, submitted ratings and written comments become the sole property of Windows 7 download. You acknowledge that you, not windows7download, are responsible for the contents of your submission. However, windows7download reserves the right to remove or refuse to post any submission for any reason. Windows 7 Download periodically updates pricing and software information of Gmsh full version from the publisher, but some information may be out-of-date. You should confirm all information. Using warez version, crack, warez passwords, patches, serial numbers, registration codes, key generator, pirate key, keymaker or keygen for Gmsh license key is illegal and prevent future development of Gmsh. Download links are directly from our mirrors or publisher's website, Gmsh torrent or shared files from free file sharing and free upload services, including Rapidshare, MegaUpload, YouSendIt, SendSpace, DepositFiles, DivShare, HellShare, HotFile, FileServe or MediaFire, are not used.